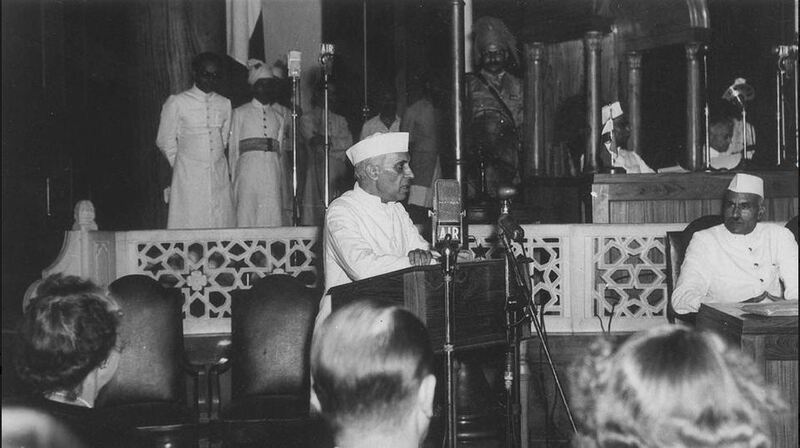 71 years after India gained independence, the ideas put forth by some of the most enterprising leaders remain both relevant, and important for understanding the story of independent India. EPIC Channel presents “Bharat Ki Awaaz” series that showcase India’s most iconic and independent voices that literally moved a nation. "Long years ago, we made a tryst with destiny, and now the time comes when we shall redeem our pledge, not wholly or in full measure, but very substantially. At the stroke of the midnight hour, when the world sleeps, India will awake to life and freedom. A moment comes, which comes but rarely in history, when we step out from the old to the new, when an age ends, and when the soul of a nation, long suppressed, finds utterance. To the people of India, whose representatives we are, we make an appeal to join us with faith and confidence in this great adventure. This is no time for petty and destructive criticism, no time for ill-will or blaming others. We have to build the noble mansion of free India where all her children may dwell." The speech was delivered to the Constituent Assembly of India in New Delhi on August 14th 1947 and EPIC will run the speech along with important unknown facts 71 years later on EPIC Channel on 15th August at 10 pm.